Anyone heading down to Melbourne during the break? NADC Fine Arts teacher Catherine O'Donnell ﻿is exhibiting at Dianne Tanzer Gallery. The Gallery is located in Gertrude St Fitzroy, which is a fantastic area for art, design and fashion. 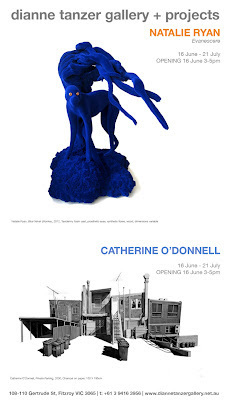 Catherine's show runs until July 21: congratulations to Catherine on another great achievement.